I really enjoy seafood over a salad, like a crab salad. 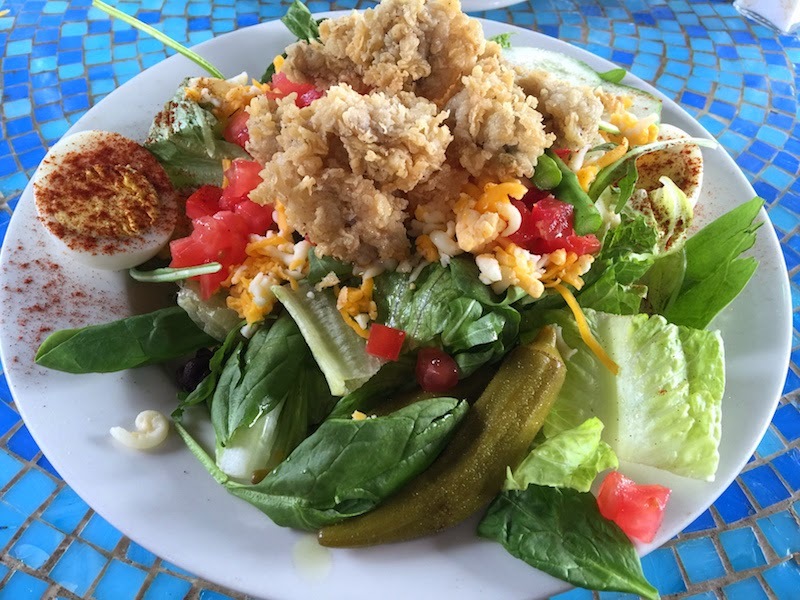 So when I saw the fried oyster house salad at Tubby's Tank House, I had to try it. 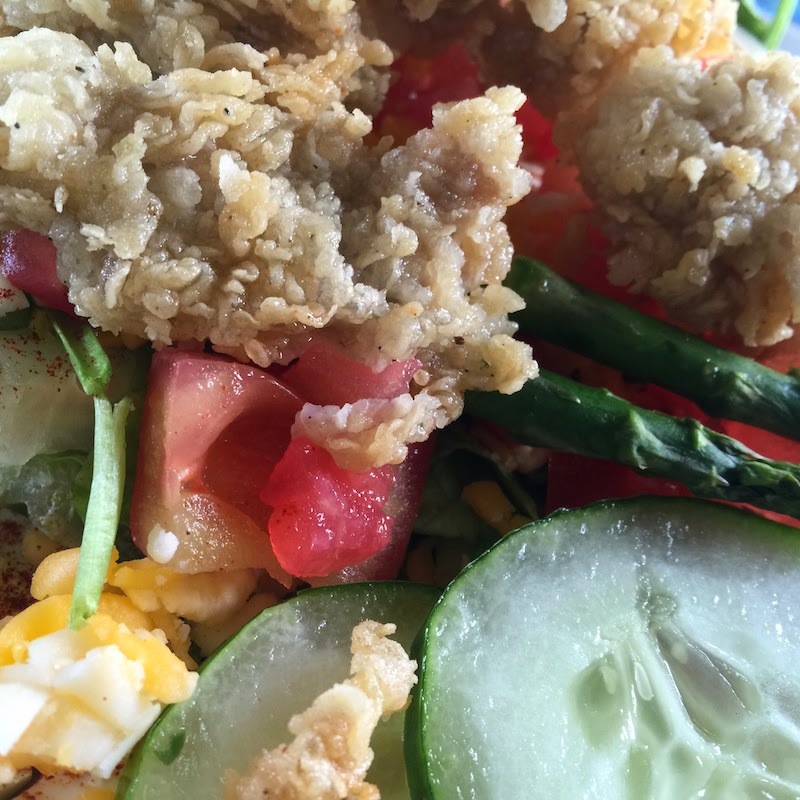 Ready my review of the Fried Oyster Salad at Tubby's Tank House in Thunderbolt (near Savannah), Georgia after the break. I found out about Tubby's Tank House from an episode of Man vs. Food Nation with Adam Richman on the Travel Channel. He said the seafood is always local and fresh, and I've never been to a place I've seen on Man v. Food that I didn't enjoy, so going to Tubby's was a slam dunk for me. 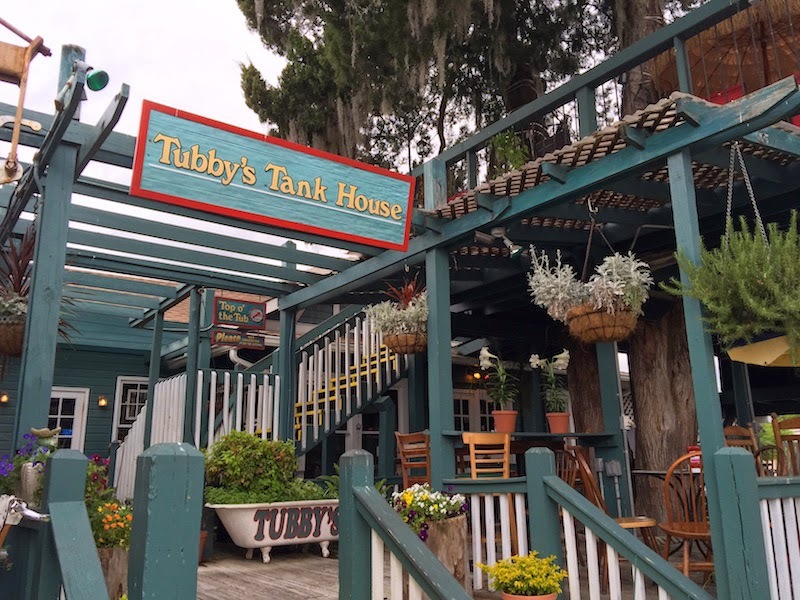 Tubby's is just outside of Savannah in the small riverfront town of Thunderbolt. I went for an early lunch, so I didn't see the lively bar crowd that I'm sure is there later in the day and on the weekends. Tubby's has lots of patio seating, including up on the roof. The oysters were completely cooked, and the batter was fried light and crisp. I enjoyed the fried oysters a lot. All of the greens in the salad were very fresh, and the dressing was served on the side so I could add what I wanted. The waitress suggested I try the cucumber dressing which was really tasty. Washed it down with some sweet tea (which I'll miss after I leave the South), and I'd call this a really good lunch.